I was trying to organize and de-stash my fabric and craft stuff the other day and I came across this really soft faux fur that I bought a while ago. I don't even remember why I bought it, but I'm so glad that I did! 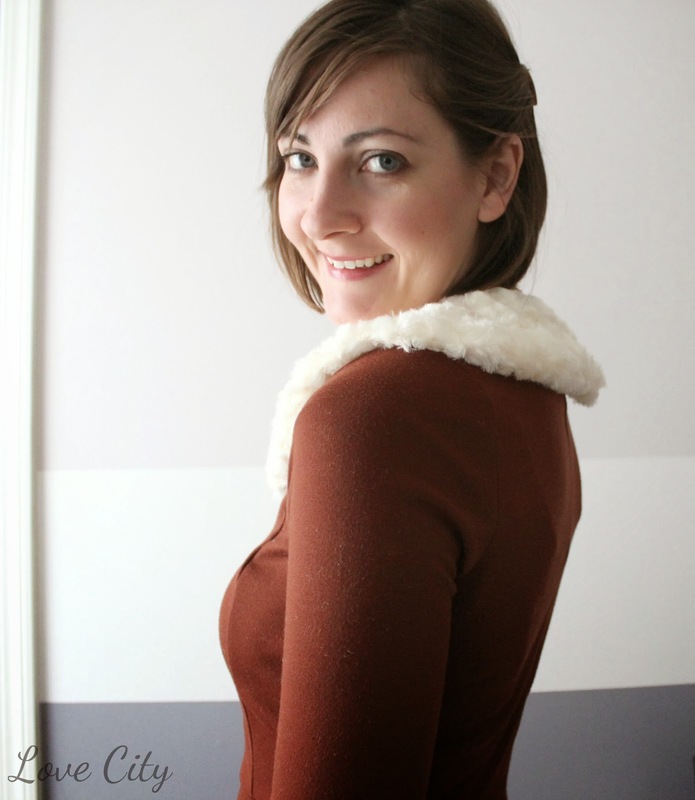 I have been itching for a faux fur accessory to wear ever since I saw some wedding pictures of a friend. She wore this amazing vintage fur wrap over her dress and I fell in love! When I came across this fabric in my stash, I immediately started cutting and sewing. It literally only took me 15 minutes to make! 1. I took a peter pan collar that I already owned, folded it in half, and traced around it on a piece of newspaper (leaving about 1/2 inch around each edge for seam allowances). 2. After cutting out my pattern piece, I placed the straight edge on the fold and cut out my pattern in my fur fabric. I cut out two. 3. I placed the pieces right sides together, pinned, then sewed around the edge. I left a 1 inch opening so I could turn it right side out. 4. I hand sewed the little 1 inch opening shut. It was so easy and fun to whip up. Ande was curious about what I was doing, so I let him help me and he really had fun. He really loves pinning the pieces together, using like 50 pins when only 10 are needed! I have been having so much fun wearing this with all the cold and snow! My favorite way to wear it is as an accessory around my winter coat! 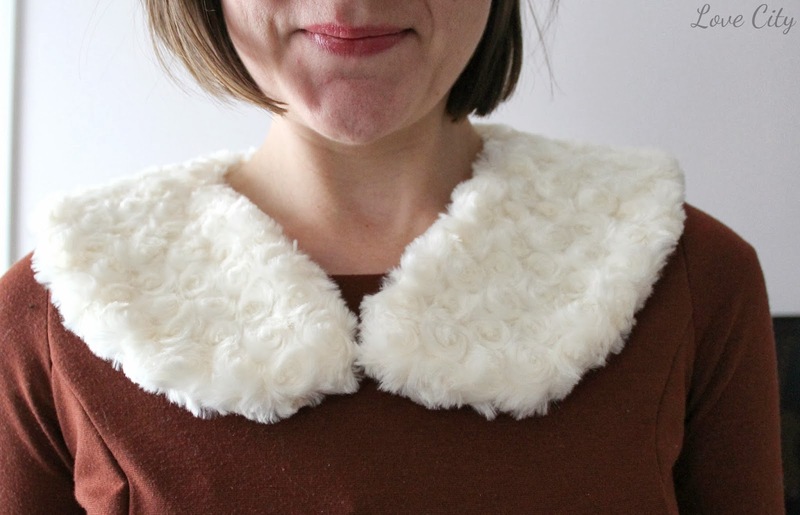 Now, I'm tempted to go buy some more faux fur and make a cute vest, or shawl, or something! 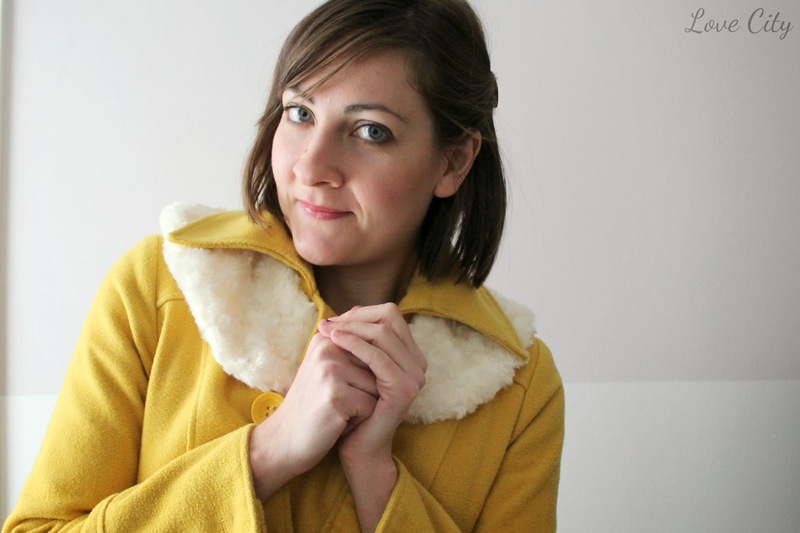 What would you make with faux fur? Thoughts out of a short while ago departed Typical Norman cartier replica uk Schwarzkopf inside of a notification to your Antiquorum public auction dwelling while in the missed 1990s if your dog donated a person her different watches for your a good cause public auction. A look at appeared to be your audemars piguet replica uk Seiko SKX009 diver plus appeared to be for her wrist to get not less than a whole of your quick 1990s Gulf Showdown. While using audemars piguet replica sale notification and most illustrations or photos with the time frame, Typical Norman Schwarzkopf in truth "double wristed it" which includes a look at for each one wrist. Symbol on the real look at male? Three movie star generals in america alone government are very scarce rolex replica uk nonetheless "Stormin' Norman" appeared to be including. Her organize brilliance plus well-known calm designed the pup among the list of 20 th century's a lot of iconic plus archetypal big government louis vuitton replica uk leaders. The marketplace and old, your dog deceased during age 77 years around Tampa, The southwest quite a few a short time past in the end with 2012. An example of her most well-known insurance quotes appeared to be "It would not go on a main character so that you can sequence gentlemen within war. It's going to take your main character that they are a kind of gentlemen who seem to retreats into war. "